Were you banking on receiving Pokémon Black/White Version 2 for Christmas? You’re screwed kid, because Nintendo is rewarding early purchasers of the game with a brand new Pokémon named Genesect. Those who buy the game before November 12th and go online via Nitnendo Wi-Fi will receive the mythical Pokémon Genesect absolutely free. Recently restored from a 300-year old fossill and modified by Team Plasma, Genesect is the only Pokemon with the movie “Techno Blast”. 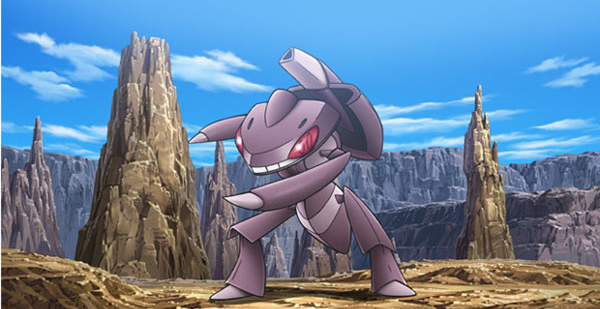 A Bug/Steel type Pokémon, he also has the ability to adjust his power level based on the enemy encountered. Let that be a lesson to you; a real man buys his own Pokémon.